Mt.Ramdung is one of the clusters of peaks around the Yalung La (5,310m.17,421ft situated south of Na in the upper Rolwaling area, which is also called Mount Ramdung Peak . Yarlungla Pass is a pass giving access to the upper Rolwaling area from the south, via the Khare Khola. Scottish Himalayan expedition, led by Bill Murray in 1952 explored the peaks in this area .When three of the peaks near the pass, Yalung Ri (5,630m/18,471ft), Chhugyima Go (6,259m)20,534ft), and Mount Ramdung were ascended. The peak had its second ascent by Merseyside expedition team in 1955 . Since then Mount Ramdung has been ascended numerous times is by those wanting to Trek and climb in the still little visited Rolwaling Himal area. Although the mountain is straightforward by it normal route of ascent, its virtues is in its magnificent position and dazzling peak panorama, which ranges from Langtang to Mt. Everest with amazing mount Gauri Shankar and mount Menlungtse. 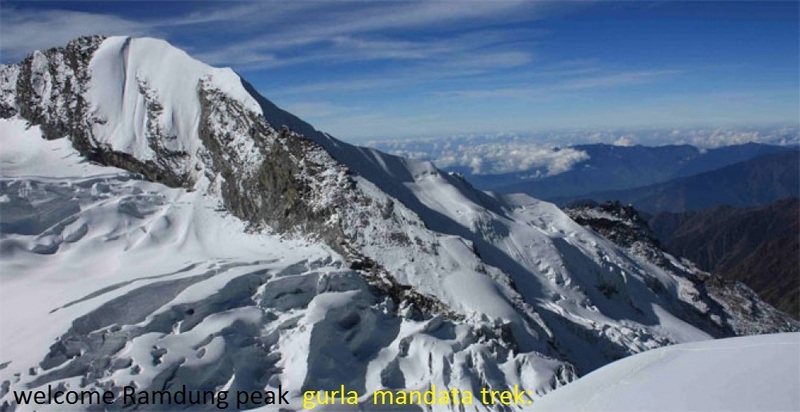 Gurla Mandata Treks and Expedition organizes peak climbing in Nepal as well as Mount Ramdung go peak. Please feel to contact us for further information. mandata trekking/ Nepal. We offer trekking, tours, expedition, Rafting, Ticketing, ETC. Day 01: Arrive Kathmandu & transfer to Hotel BB. Day 02: Prepare Permit and briefing . Day 03: Drive to Charikot – Ratmate by land transfer. Day 04: Ratmate – Bhorle or Bagar. Day 05: Bagar – Jagat. Day 06: Jagat – Simi goun. Day 07: Simi goun – Yak khark. Day 08: Yak khark – Beding 3693m. Day 09: Beding – Na Gaun. Day 10: Na Gaun – Na visit the glacier and lake. Day 11: Na Gaun – High camp of Romdung peak. Day 12: H.C.-Ramdung (5925m) climbing & Back to Na Gaun. Day 13: Na Gaun – Dangkhang. Day 14: Dangkhang – Ghanger. Day 15: Ghanger – Jyaku. Day 16: Jyaku – Rato Mate. Day 17: Ratomate – Dolkha/ Charikot. Day 18: Drive to Kathmandu by land transfer . 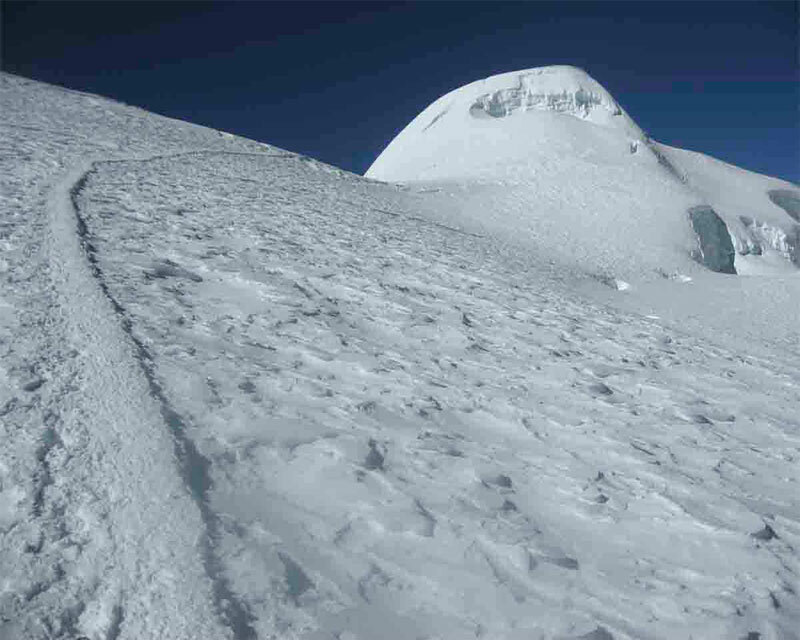 Climbing Permit for Ramdung Go Peak 5925m.